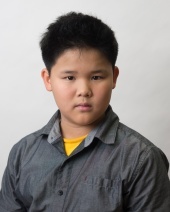 At just 12 years of age, the sensational child prodigy Awonder Liang is entering the tournament as the highest rated Under-12 player in the US and the second highest rated Under-12 player in the world. He learned how to play chess from his father and two brothers while growing up in Madison, Wisconsin. He attributes much of his success to support he has received from his family. Awonder is well-known in the chess community for the record-shattering pace at which he continues to improve. A week after his eighth birthday, Awonder became the youngest chess expert in U.S. history - breaking the record previously held by Sam Sevian. He also broke the record for youngest national master in U.S. history 17 days before his 10th birthday. Awonder holds the distinction for the youngest-ever player to beat an international master and the youngest American to beat a grandmaster in a standard time control. At the age of 9 years and 111 days, Awonder defeated GM Larry Kaufman in the Washington International - breaking the record previously held by Fabiano Caruana. Awonder is entering the tournament a two-time world champion having earned gold medals in the Under-8 World Youth Chess Championship in Brazil (2011), and later the Under-10 World Youth Chess Championship in the United Arab Eremites (2013). Known for his humble and kind demeanor, Awonder is not one to boast about his success; he sometimes wishes the fame would just go away. Despite being one the youngest and lowest-rated players in the tournament, Awonder is clearly one to watch in this year's U.S. Junior Closed Championship. Arthur Shen is returning this year for his second straight appearance in the U.S. Junior Closed Championship. Shen is a creative player that is always looking for new ways to improve his game. His positive attitude has lead to a steady increase in his rating year after year. Shen became a FIDE master in 2009 and is now an IM-elect. The 18-year-old has put together a very impressive resume. 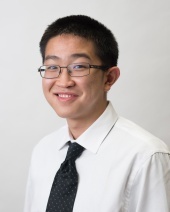 Shen was the winner of 2011 U.S. Cadet Championship and tied for second in both the Liberty Bell Open (2015) and the 2015 High School Nationals. 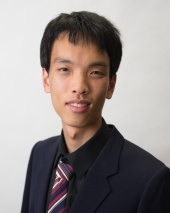 He has been a member of the USCF All-American Chess Team from 2010 – 2015. He has also been recognized by the U.S. Chess Trust as a 2014 Scholar Chess Player Award winner. Shen is proud of his home state and has brought a lot of success to New Jersey. He is the winner of two New Jersey Junior Championships (2011, 2013), and he also played for his state in four seasons of the U.S. Chess League, for the New Jersey Knockouts. He is looking forward to representing his state in this year’s U.S. Junior Closed Championship. 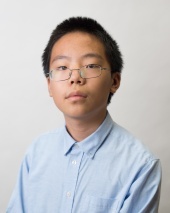 Ruifeng Li is entering the 2015 US Junior Closed Championship as the highest rated under-14 player in the country. He became the Arkansas State Champion in 2011 at the age of 8. Later that year he was a Silver Medalist in the World Youth Chess Championships under-10 section. 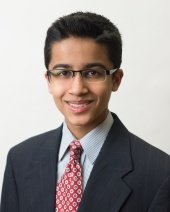 His early success landed him a spot in the Young Stars program in 2012 -- an elite youth training program designed to maximize the potential of rising chess prodigies in the US, coached by Garry Kasparov. A few months later Li earned the NM title. His FIDE rating climbed over 200 points in 2013 and by mid-2014 he earned the FM title. Li obtained his first IM norm in March 2015, as well as the senior master title. This year marks Li's first appearance in a US Junior Championship. His rating and chess aspirations have never seemed to slow down and he is hopeful to one day play in the US Chess Championship. At some point, IM Luke Harmon-Vellotti moved beyond simply being a precocious young man—he’s full-fledged wunderkind. 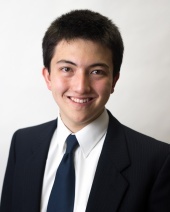 Born in 1998 in Boise, Idaho, Luke has found early success in chess and academics alike. A multiple National Chess Champion and All-American Chess Team member, Luke had been crowned the Idaho Chess Champion and had published his first book by the time he was only ten years old. Academics and chess both came easily to him, as he found himself the recipient of numerous academic awards, even while taking advanced classes far beyond his age group. Since, he has become his home state’s first international master, and at sixteen he has finished his second year at UCLA, working on a double-major in Math and Computer Science. Luke’s ultimate goal in chess is to achieve the lauded title of grandmaster, but he admits that his life ambitions extend beyond chess alone. 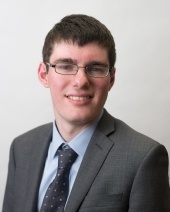 After he finishes his undergraduate degree, Luke wishes to attend medical school to become a doctor, as he has placed a premium on making the greatest positive impact on the world around him. Even so, he has already succeeded in finding a way to use chess as an instrument of good: in the aftermath of the Haitian earthquake in 2010, Luke helped raise funds for the cause by running a twenty board simul charity event. 17-year-old IM Michael Bodek will arrive at this year’s U.S. Junior Closed Championship riding a wave of impressive recent success. The native of Rochelle, NY will enter the tournament with a personal all-time peak rating of 2528, as a result of his excellent play over the past year. 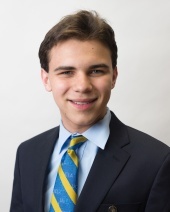 Before the tie-breaking round in the 2014 National Chess Congress last November, Michael managed a four-way tie for first place in a premier section that included such American chess greats as Grandmasters Gata Kamsky and Sergey Erenburg. Additionally, this past May Michael seized victory in his section of the UT Brownsville International Master-norm tournament. This will be Michael’s second time competing in the U.S. Junior Closed Championship, and his play in last year’s competition shows promise for him in the upcoming tournament. Last year, Michael finished in third place, and he was the only player to defeat the winner of the Championship, GM Kayden Troff. A new year brings new competition, and Michael looks to parlay his recent success--and his U.S. Junior experience--into a Championship victory. The 2015 U.S. Junior Closed Championship shall be a 10-player tournament paired as a Round Robin.